Tabs are used to separate content into different panes where each pane is viewable one at a time. Step - 1 : DisableTabs() :this function is used to Disable all Tab Content. Step - 2 : var tabid = $(this).attr('href'); : this line is used to get href value (i.e #home). 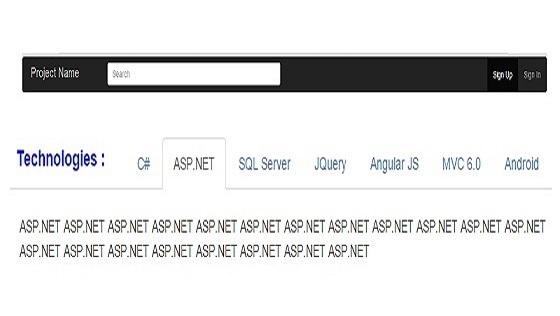 0 Komentar untuk "Bootstrap JQuery Tab in ASP.NET"